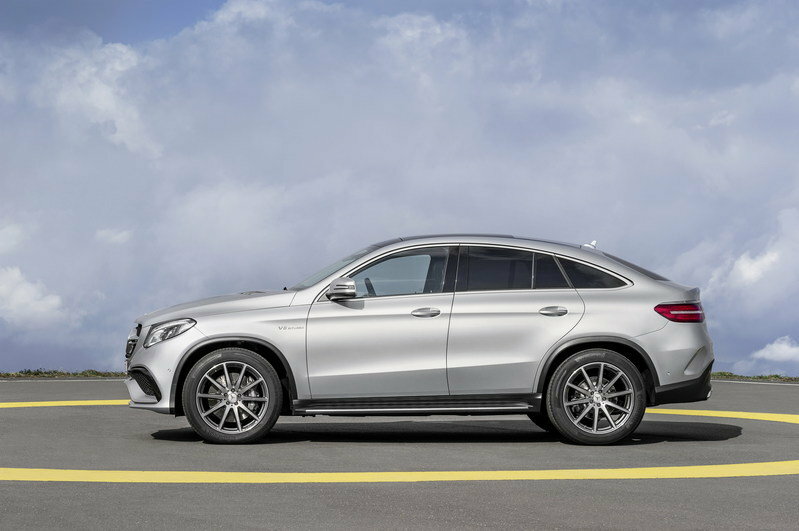 The coupe crossover niche has been dominated by BMW’s X6 since its introduction back in 2009, but that came to an end when Mercedes-Benz rolled out a coupe SUV of its own for the 2015 model year. Previewed by the 2014 Concept Coupe SUV launched at the 2014 Beijing Auto Show, the 2016 GLE Coupe — previously rumored to carry the MLC name — follows in the footsteps of the X6 by being a four-door coupe that rides on an SUV platform. With the GLE Coupe ready to hit the assembly line in early 2015, Mercedes-Benz unveiled its competitor for the high-performance X6 M: the GLE63 AMG Coupe. 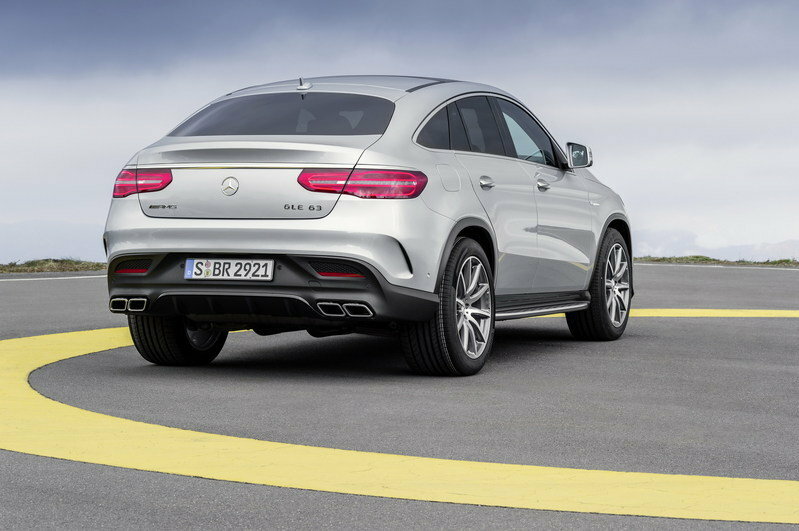 Not surprising, the GLE63 AMG Coupe is designed around AMG’s already classic recipe. The crossover receives a host of upgrades front to rear, including new bumpers, a revised exhaust system, and a set of lightweight wheels. AMG’s tried-and-true, 5.5-liter, V-8 engine with more than 550 ponies finds its way under the GLE’s sheet metal, along with an enhanced suspension system. 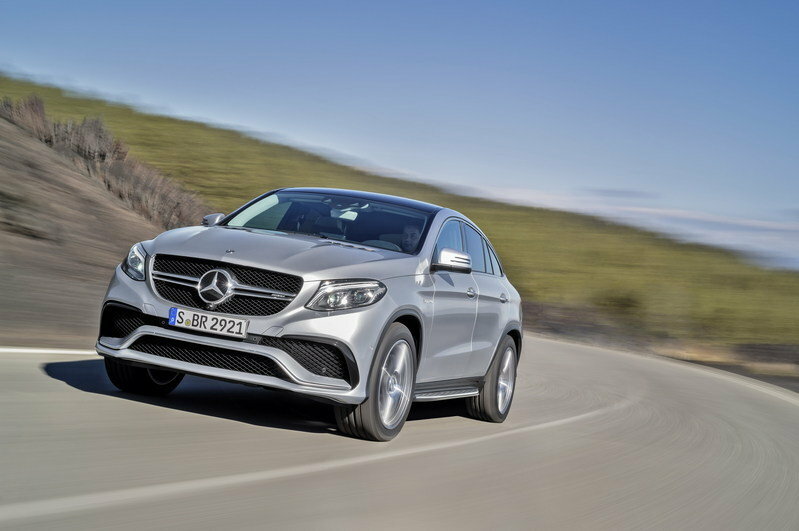 Read on for more details about Mercedes’ brand-new performance coupe SUV. 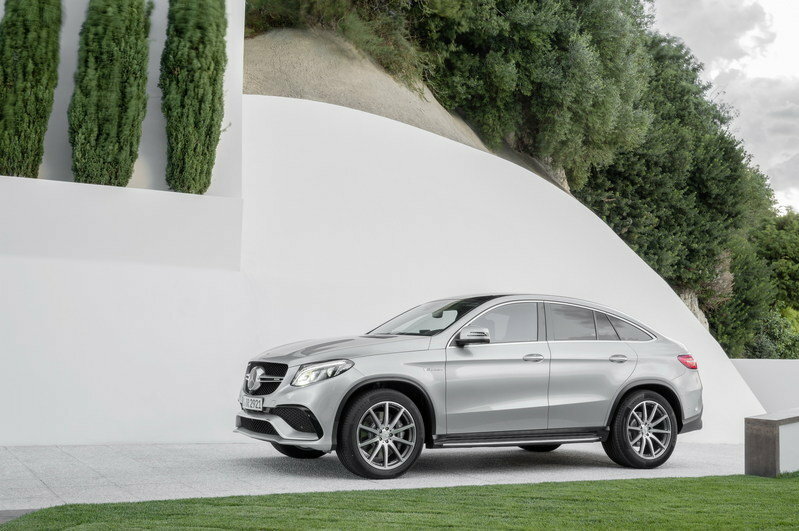 Updated 01/12/2015: The all-new Mercedes-Benz GLE63 AMG Coupe made its world debut at the 2015 Detroit Auto Show. Click past the jump to find out the official specs and details. 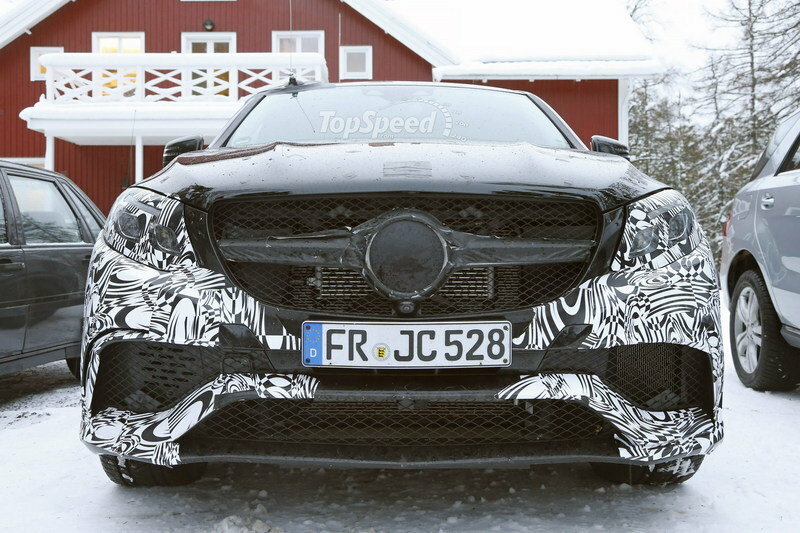 Click past the jump to read more about the Mercedes-Benz GLE63 AMG Coupe. 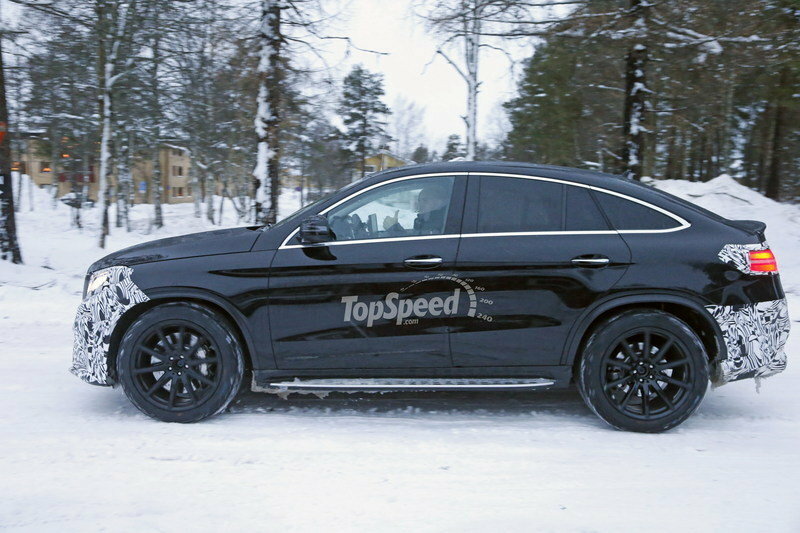 Updated 01/08/2015: With just a few days before its official debut in Detroit, Mercedes unveiled a first teaser video for the upcoming GLE 63 AMG Coupe. Check it out after the jump. 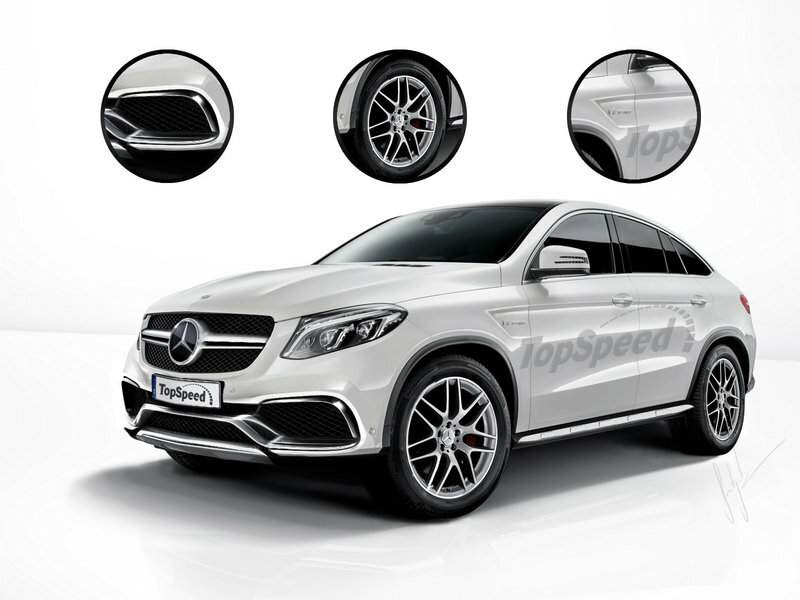 Updated 12/11/2014: We have prepared a very nice rendering for you for the future GLE 63 AMG. Check it out after the jump. When creating the rendering we took inspiration from the standard version unveiled just yesterday. However, we added revised bumpers, a brand new set of 7 spoke twin split rims, bi turbo badging with small air outlet on the sides and a chrome side step. The GLE63 AMG exudes aggressiveness through every pore, a feat we anticipated knowing what AMG usually has in store for basically every model in Mercedes’ lineup. It’s no longer a secret that the GLE63 AMG Coupe is here to give the BMW X6 M a run for its money, and the sporty body kit has been designed accordingly. Compared to the regular GLE Coupe, the AMG boasts a redesigned front bumper that includes heavily revised air dams and a splitter-like piece down below. The main intakes feature black inserts on the sides, while a small AMG badge placed on the grille helps set the crossover apart. The rear fascia sports fewer changes, with only the apron featuring a different layout. The squared-off exhaust pipes are larger — and obviously noisier — on the AMG63 Coupe, while the middle section has been remodeled into a diffuser piece with four fins. Naturally, "AMG" and "GLE 63" badges adorn the trunk lid. When viewed from the sides, the GLE63 AMG’s lowered suspension, new side skirts, flared wheel arches, "V8 BITURBO" lettering, 10-spoke, 21-inch wheels, and red brake calipers make yet another statement about the crossover’s enhanced performance. The already luxurious interior of the GLE Coupe becomes even more exquisite with the AMG model, as well as a lot sportier thanks to a host of bespoke features. To enable drivers to enjoy the extra power coming from the massive V-8, the GLE63 AMG Coupe comes with a pair of bolstered front seats wrapped in Nappa leather with contrast stitching, while the standard three-spoke steering wheels has been replaced by a flat-bottom one with AMG badging. The latter is stitched in black Nappa leather with perforated grip area and fitted with paddle shifters. Updates continue in the dashboard area, which is covered in black Artico leather and carbon-fiber inserts where wood is usually found on the standard crossover. The instrument cluster also boasts a bespoke AMG design consisting of two large round dials in carbon-fiber look, AMG start-up screen, manual gear indicator, and the Racetimer lap timer. Even more goodies come with the range-topping S model. Added features include a Dinamica microfiber grip area for the steering wheel, red scales for the dials, and high-grade, exclusive Nappa leather upholstery. 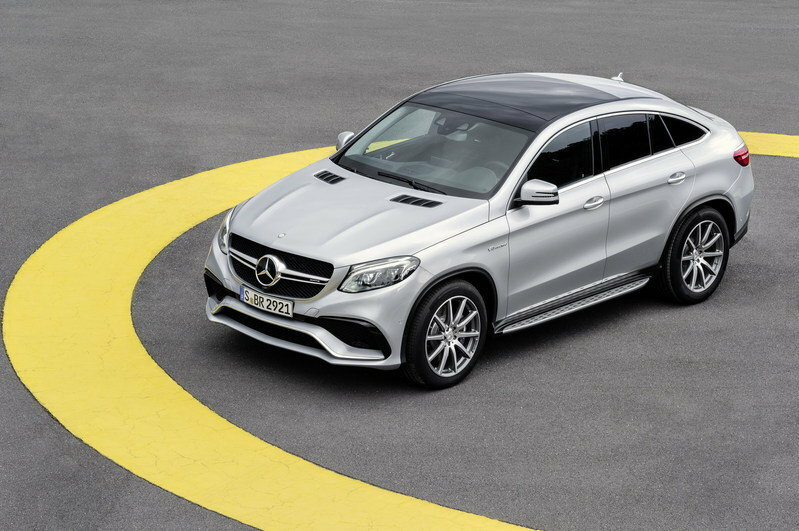 Being built on the same platform underpinning the new M-Class, the GLE63 AMG Coupe receives the tried-and-true, 5.5-liter V-8 and not the 4.0-liter eight-banger that debuted with the Mercedes-AMG GT sports car. That’s not an issue though, as the mill delivers up to 585 horsepower and fuel economy is not something customers focus on when buying an AMG-badged rig. 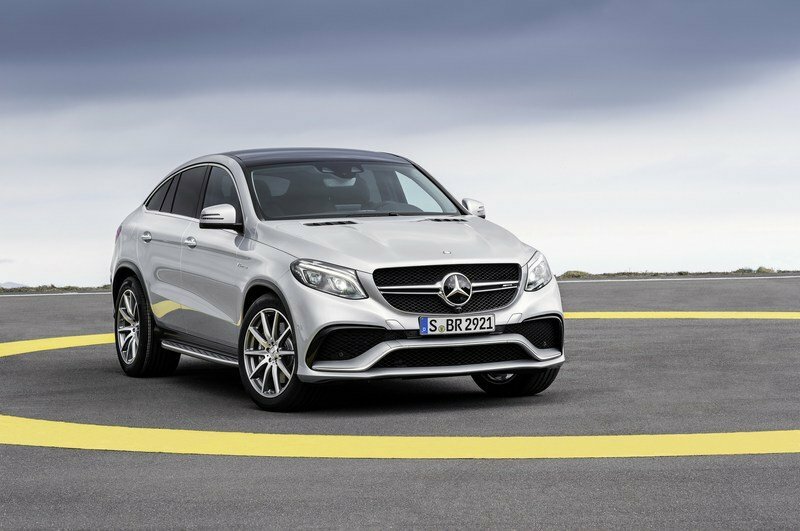 As with most AMG vehicles, the GLE63 Coupe is available in two guises. The base model comes with 557 ponies and 516 pound-feet of torque, while the range-topping S model benefits from 585 horses and 560 pound-feet. 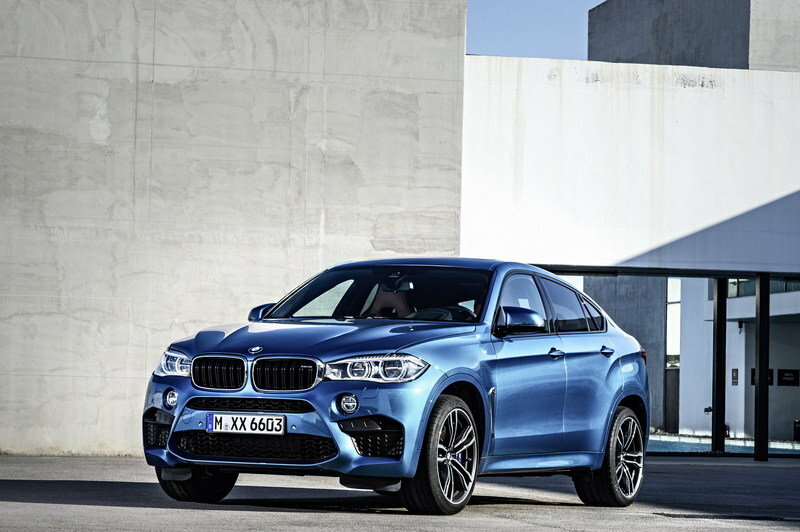 The former needs 4.3 seconds to charge from 0 to 62 mph, while the latter reaches the benchmark in 4.2 seconds, as quick as the 2015 BMW X6 M. Naturally, the top speed is electronically limited to 155 mph, on par with its Bavarian rival unless fitted with the 173-mph M Driver’s Package. The engine mates to an AMG-tweaked Speedshift Plus 7G-Tronic transmission and standard 4MATIC, both aiding with those fantastic 0-to-60 mph times. The transmission comes with five different modes — Slippery, Individual, Comfort, Sport and Sport Plus — that meddle with the response of the engine, the shifting, ESP thresholds, power assistance for the steering, and the characteristics of the dampers for distinct driving experiences. The GLE63 AMG Coupe is equally sporty when it comes to chassis components, as AMG is looking to take no prisoners once this crossover hits the street. An AMG Ride Control sports suspension keeps the GLE63 AMG on its best behavior on both the road and the track, with an Airmatic package adding goodies such as an air suspension, special dampers, and automatic level control. The suspension is designed to provide either maximum ride comfort or sports car-like dynamics depending on the driver-selectable driving mode. "Comfort" mode enable the utmost ride comfort for smooth highway cruising, while "Sport Plus" turns this crossover into a menacing track beast. Since it’s a direct competitor to the BMW X6 M, we can expect the GLE63 AMG Coupe to carry a price tag of $100,000 to $110,000, depending upon trim levels, before options. Unforuntaly, official pricing has not been released yet. 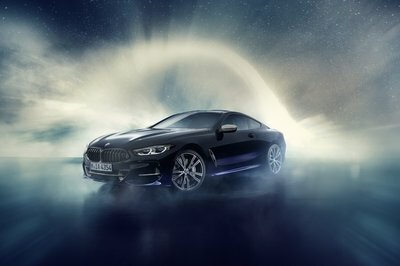 The Bimmer that launched the coupe crossover niche received an extensive update for the 2015 model year. New features include a revised front grille, a more aggressive front bumper, and revised taillights and exhaust pipes around back. The vehicle is also 20 pounds lighter than its predecessor, a significant improvement given the new X6 is now longer and wider. Under its hood, the second-gen X6 M carries on with the same twin-turbo, 4.4-liter V-8, but output increases to 567 horsepower and 553 pound-feet of torque. Mated to an eight-speed M Steptronic transmission with Drivelogic, the eight-banger enables the crossover to reach 60 mph from a standing start in just four seconds, making it faster than every 2015 M model except the M3 and M4 with the automatic transmission. Top speed is electronically limited to 155 mph. The 2015 X6 M has a starting price of $103,050, including destination and handling fee. 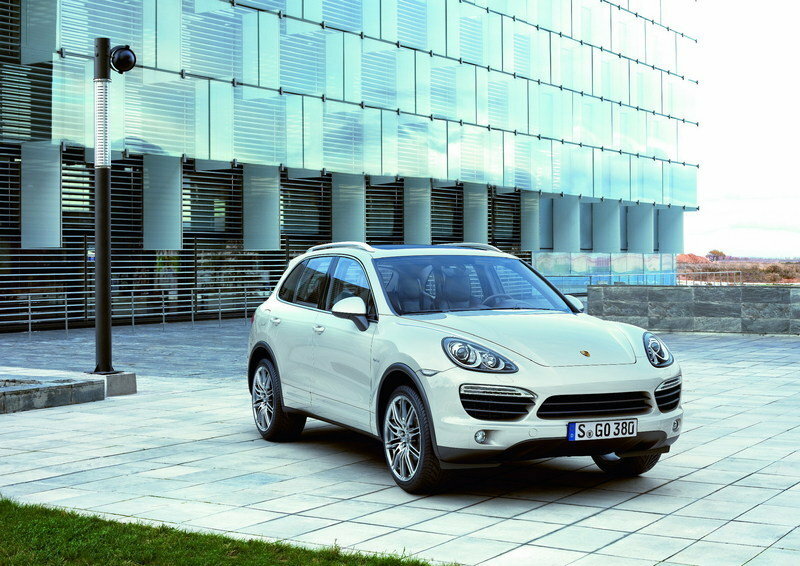 Although not yet officially confirmed, the Cayenne Coupe is rumored to arrive for the 2016 model year as Porsche’s answer to the X6. The crossover is expected to look identical to its full-size sibling, expect for a sloping roof and retuned suspension and steering. Naturally, the coupe will borrow all the powertrains available with the regular Cayenne, including turbo the V-8, and gasoline and diesel V-6 powerplants. Likewise, the Cayenne Coupe should come available in all the trims currently offered for the regular Cayenne, including a hybrid version. 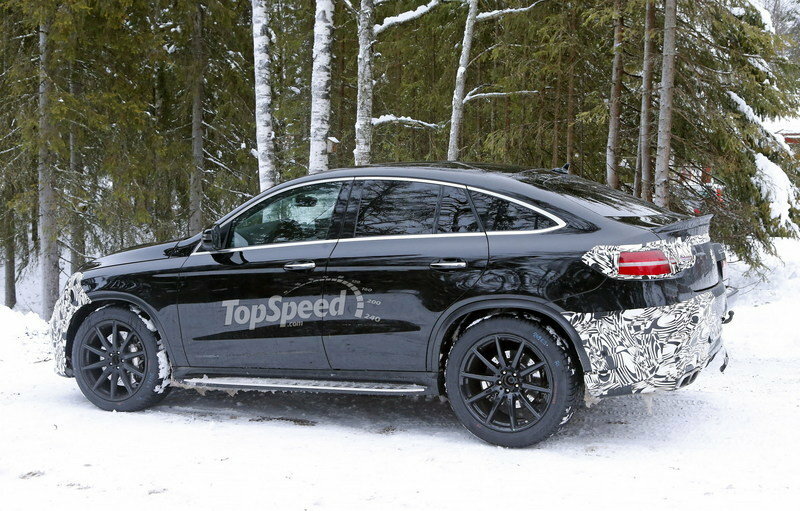 The turbo versions will be most suited to take on the GLE63 AMG Coupe. Audi is the latest German automaker to join the coupe crossover fun. 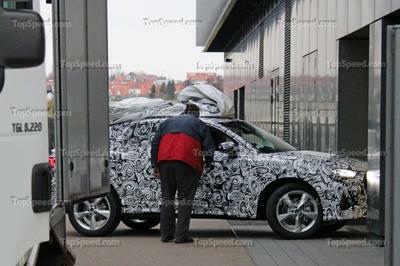 The Q8 was announced on the sidelines of the 2014 Los Angeles Auto Show and a launch is expected to occur in 2016. The Q8 is likely to be inspired by the Prologue concept and will ride on Volkswagen’s second-gen MLB platfrom that it’ll, share with the Audi Q7, Porsche Cayenne, Volkswagen Touareg, Bentley’s upcoming SUV, and the Lamborghini Urus. The Q8 will receive a range of V-6 and V-8 engines, most likely consisting of the company’s 3.0-liter and 4.0-liter TFSI units, as well as the 3.0-liter TDI. Plug-in hybrid versions will also join the lineup and word has it Audi wants an all-electric version of the crossover too. 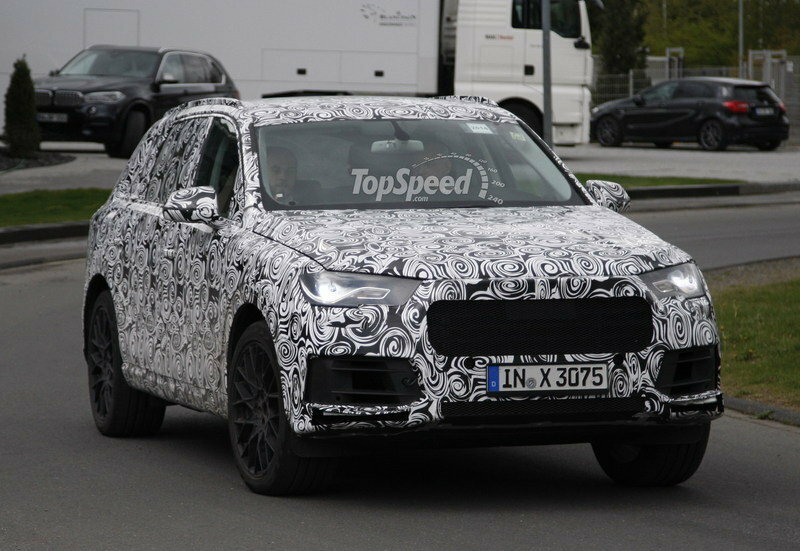 There’s no word on a high-performance Q8 RS yet, but we’d be really surprised if Audi would allow BMW and Mercedes-Benz compete on their own in the high-performance department. Granted, the GLE63 AMG Coupe isn’t the most alluring crossover as far as styling goes, but it’s arguably one of the most important additions to the Mercedes lineup from a business standpoint. As the first crossover specifically created to give the BMW X6 M a run for its money, the GLE63 AMG Coupe will provide answers to a lot of question, including whether BMW can be overthrown in a niche it invented back in 2009. This Merc could also determine other manufacturers to join the segment and turn it into a battlefield as popular as the mid-size SUV market. Only time will tell if the likes of Porsche and Audi — and maybe GM and Ford too — will create their very own coupe-like crossovers, but until that happens, the GLE63 AMG Coupe has a Herculean task on its hands, one that will provide us with yet another BMW vs Mercedes clash. With the new GLE 63 Coupé, Mercedes-AMG is in highly dynamic mood as it enters the 2015 automotive year. As another exciting interpretation of a four-door coupé, the commanding SUV meets the highest of standards in terms of performance, design and comfort. 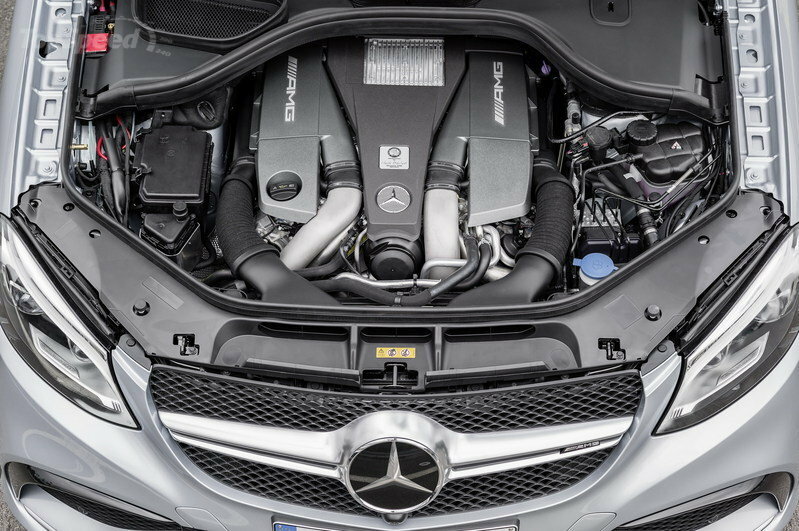 The powerful heart of the vehicle – the AMG 5.5-litre V8 biturbo engine – beats even faster in the new Mercedes-AMG GLE 63 Coupé: in addition to the variant generating 410 kW (557 hp), there is also a highly sporty S‑Model to choose from which is rated at 430 kW (585 hp). The perfect prerequisites for a highly dynamic on-road driving experience come courtesy of the suspension, which has been systematically designed for a sporty performance. The high-performance SUV coupé comes with the AMG RIDE CONTROL sports suspension with active roll stabilisation ACTIVE CURVE SYSTEM and the Sports Direct-Steer system. The 4MATIC all-wheel drive with rear-biased power distribution and the DYNAMIC SELECT transmission modes promise to deliver what distinguishes every AMG vehicle: driving performance. 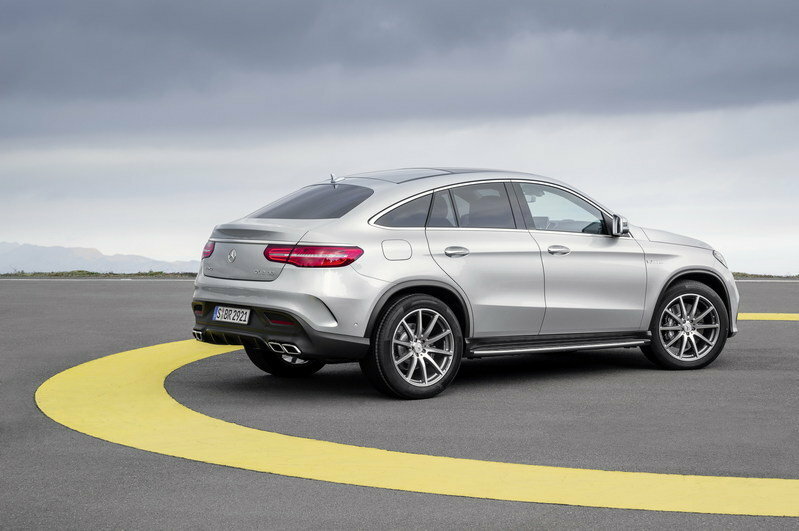 The new GLE 63 Coupé combines the sportiness of a coupé with the strengths of an SUV. High agility, distinctive engine sound and typical sports car acceleration are united with poise and assurance, tremendous pulling power and perfect traction. The five transmission modes of “Slippery”, “Individual”, “Comfort”, “Sport” and “Sport Plus”, which the driver is able to select using a rotary control on the centre console, deliver fundamentally different driving dynamics. Be it the response of the engine, the shift strategy of the transmission, ESP® thresholds, power assistance for the steering or characteristics of the dampers: the system networks all the control systems, generating different sets of parameters for distinct driving experiences. In terms of drive system, GLE 63 Coupé customers have a choice between powerful and extra-powerful: the AMG 5.5-litre V8 biturbo engine develops a maximum power of 410 kW (557 hp) and a torque of 700 Newton-metres. The S‑Model raises the respective values to 430 kW (585 hp) and 760 Newton-metres. The difference in output and torque comes courtesy of a higher maximum charge pressure. Whichever variant the customer opts for, the 8-cylinder powerplant, which is assembled according to the "one man, one engine" philosophy, delivers the familiar powerful performance: thus, the GLE 63 Coupé accelerates from 0 to 100 km/h in 4.3 or 4.2 seconds (S-Model). Fuel consumption values of 11.9 litres per 100 kilometres (NEDC (combined); CO2: 279 g/km) and compliance with the EU6 standard demonstrate that maximum power, efficiency and environmental compatibility are by no means mutually exclusive for Mercedes-AMG. As customary for a typical AMG model, the sound from the new GLE 63 Coupé is unmistakable. Customers can further emphasise the distinctive engine sound from the sports exhaust system, because a Performance exhaust system is optionally available for both output variants. Those who value a more noticeable sound can opt for an even more emotively appealing V8 engine sound – and can experience the dynamic performance even more intensely. The M button allows the driver to emphasise the sporty character and to shift gear exclusively using the steering-wheel shift paddles. As the seven-speed automatic transmission now shifts independently neither on kick-down nor upon reaching the maximum engine speed limit, it is possible to savour the tremendous pulling power in all engine speed ranges. Further specialities for the dynamically focused driver: the automatic double-declutching function when shifting down and the short-term M mode, which combines the performance of manual gear changes with automatic up- and downshifts. This allows the driver to enjoy the vehicle’s impressive performance to the full. If the driver has shifted up or down manually using the shift paddle, the transmission independently switches back to the automatic shift mode after a set period of time. The seven-speed automatic transmission features a dual-turbine torsional damper with speed-sensitive centrifugal pendulum, which minimises vibrations while enhancing the passengers’ perceived comfort. With 4MATIC permanent all-wheel drive, Mercedes-AMG uses a specially designed transfer case: this exclusive solution distributes the drive power in a ratio of 40:60 between the front and rear axles, resulting in greater agility about the vertical axis of the vehicle. The pay-off for the driver: even greater driving pleasure during high-speed cornering. The AMG RIDE CONTROL sports suspension with AIRMATIC package, consisting of air suspension, special damper struts, automatic level control and infinitely variable damping characteristics ADS Plus, is combined with active roll stabilisation ACTIVE CURVE SYSTEM. This standard-fit system employs active anti-roll bars on the front and rear axles to reduce the body’s roll angle during cornering. The reduced roll angle and outstanding cornering properties make for enhanced transverse dynamics and driving pleasure. At the same time, the system provides increased driving stability and, therefore, safety, especially at higher speeds. Roll stabilisation, damping and suspension adapt automatically to the prevailing driving situation, offering both optimum ride comfort and maximum stability. The damping system changes its area of emphasis depending on the preselected DYNAMIC SELECT mode. “Sport Plus” mode puts the emphasis on maximum possible transverse dynamics. Conversely, “Comfort” mode enables maximum ride comfort. 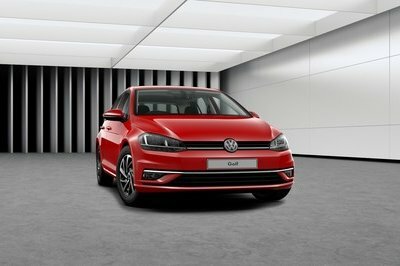 Perfect interplay between all systems makes for a superior experience in the cockpit – whatever the driving situation or road conditions. As an additional bonus, DYNAMIC SELECT modifies the driving dynamics in no time at all. 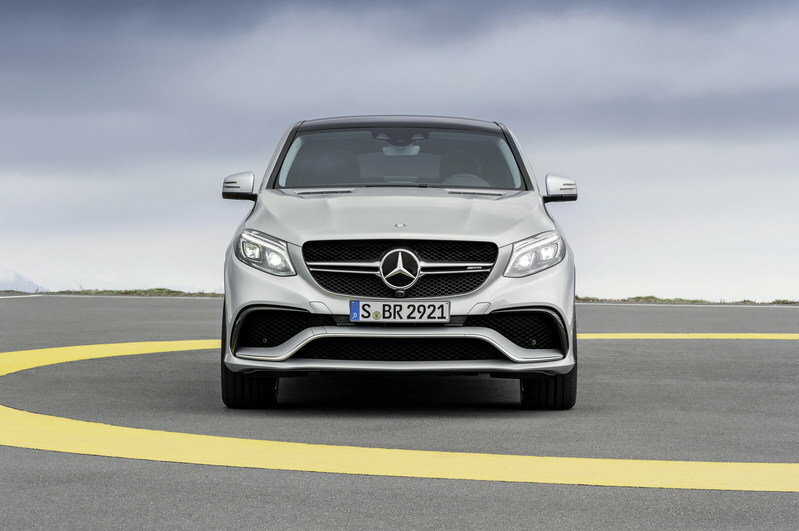 The GLE 63 Coupé adapts its character at lightning speed, depending on which transmission mode is activated. In “Comfort” mode, the control thresholds of the dynamic handling control systems ASR, ESP® with Dynamic Cornering Assist and the all-wheel drive control system 4ETS are configured for moderate, restrained dynamics. “Sport” and “Sport Plus” permit greater longitudinal and transverse dynamics for more intense driving pleasure. In “Slippery transmission” mode, on the other hand, the focus is on optimum traction and maximum driving stability in adverse road conditions. “Individual” mode allows the driver to design their own personal set-up consisting of engine characteristics, shift strategy and damper settings. The Mercedes-AMG GLE 63 Coupé skilfully embodies the firmly established principles of Mercedes-Benz design: sensuousness and clarity. The top-of-the-range V8 model from Affalterbach manages in an emotively appealing way to bring the fascination of motor sport to everyday life with a powerful dominance. A very first glance reveals the new four-door coupé to be an extrovert, proudly standing on its large wheels. 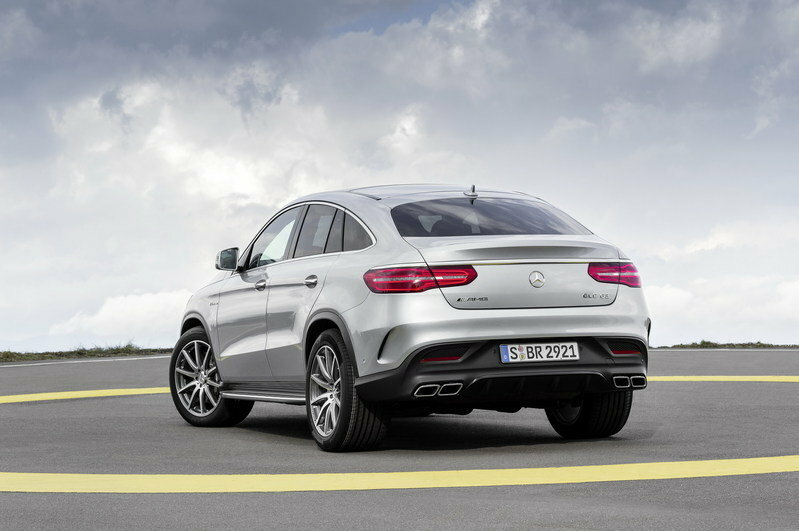 The GLE 63 Coupé is the first SUV from Affalterbach to adopt the AMG design philosophy, familiar from many other high-performance vehicles, with the characteristic "A-wing" in the front apron. This makes the SUV coupé clearly recognisable as a member of the AMG model family. Viewed from the front, the model’s sculptural design idiom is also defined by the bonnet with its two dynamic powerdomes and new radiator grille – as is typical of AMG, it features a twin louvre in silver chrome as well as a large, central Mercedes star. The GLE 63 Coupé displays visual dominance with its "A-wing". This design feature in the form of the stylised "A", a hallmark of AMG, is three-dimensional and also serves as an air guide for the three air openings. The A-wing is painted in the colour of the vehicle, while the trim strip is in silver chrome. The new front view is especially characterised by the two lateral, large air inlets, while the above-positioned, black flics ensure an optimal flow of air onto the cooling modules. At the lower end of the front apron, a front splitter in the colour of the vehicle helps to reduce lift. The standard equipment package includes three-dimensionally formed LED headlamps. Flared wheel arches in black make for a systematic continuation of the visual dominance along the sides. 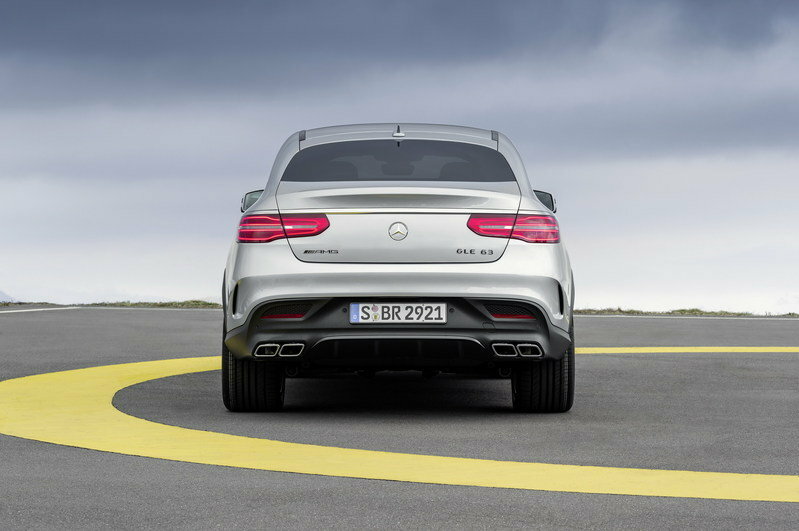 Behind the wheel cutout, "V8 BITURBO" lettering points to the superior engine power of the GLE 63 Coupé. An even more distinctive look is optionally available from illuminated aluminium-look side running boards with anti-slip rubber studs. The extroverted look is enhanced by impressive AMG 10-spoke light-alloy wheels of size 53.3 cm (21-inch) with tyres of size 285/45 R 21 (front axle) and 325/40 R 21 (rear axle). 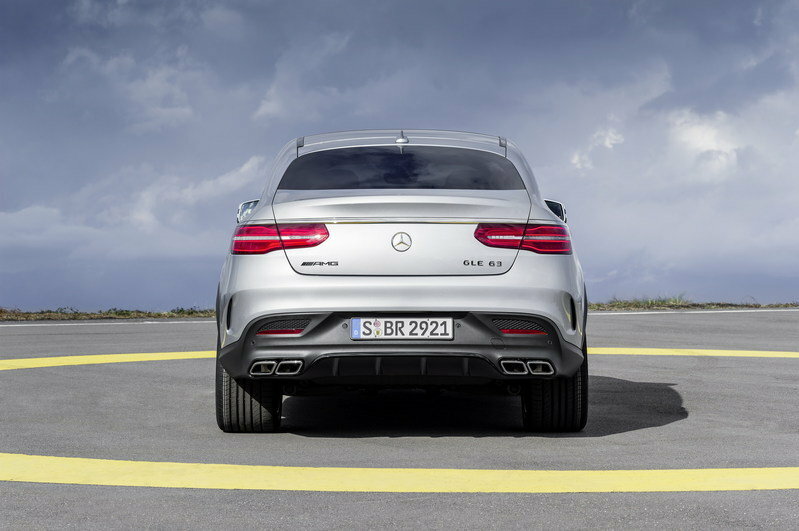 The rear end of the vehicle shows clear similarities with the design of the S‑Class Coupé: with its narrow tail lights in three-dimensional look, above-positioned, broad chrome badge and prominently placed Mercedes star, the GLE 63 Coupé has a decidedly sporty look. Mercedes-AMG reinforces the visual dynamics with some specific design elements: the spoiler lip on the boot lid further improves the driving stability at high speeds, while the visual, lateral air outlets in the rear apron improve the cd value. 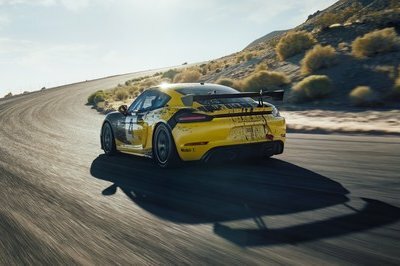 The AMG rear apron is given a dynamic look by diffuser fins and the integrated, chrome-plated twin tailpipe trims of the sports exhaust system. The shape of the silver chrome trim strip is reminiscent of the "A-wing" in the front apron. As a result of the new nomenclature, the prominent AMG lettering is placed to the left of the Mercedes star, with the model identification GLE 63 to the right. The A-wing on the GLE 63 S Coupé is painted in high-gloss black. In combination with the silver-chrome trim strip and black flics, this makes for an even sportier look. AMG cross-spoke light-alloy wheels of size 55.9 cm (22‑inch), painted in titanium grey with a high-sheen finish, ensure that the S‑Model exudes an even more impressive air. Optimum traction of the light-alloy wheels is guaranteed by tyres of size 285/40 R 22 (front axle) and 325/35 R 22 (rear axle). The GLE 63 S Coupé is recognisable by its red-painted brake callipers; in addition, the GLE 63 model identification bears a special "S". Like the exterior design, the interior of the GLE 63 Coupé also boasts many exclusive design elements and appointments. High-grade materials, first-class precision and a luxurious quality feel produce a fascination potential typical of AMG. Trim elements in light longitudinal-grain aluminium provide clever highlights. The instrument panel on the GLE 63 Coupé is in black ARTICO man-made leather. The partially integrated central display visualises the individual DYNAMIC SELECT transmission modes with animated graphics. The centre console accommodates the COMAND controller with optimally ergonomically positioned touchpad; on the right is the DYNAMIC SELECT rotary actuator for the various transmission modes. Located above is the M button for the manual transmission mode. The higher-powered Mercedes-AMG GLE 63 S Coupé also offers genuine added benefits in the interior. For even more intense contact with the vehicle, the grip area of the Performance steering wheel is in DINAMICA microfibre. A sporty look also dominates the driver’s field of vision: the instrument cluster has an even higher-class look with fine red scale graduations around the speedometer and rev counter and a grey decorative band. The passengers are accommodated on high-grade exclusive nappa leather upholstery. AMG medallions in the head restraints lend the interior a special, luxurious note. Set against black interior appointments, the grey seat belts and grey contrasting topstitching produce yet further highlights.